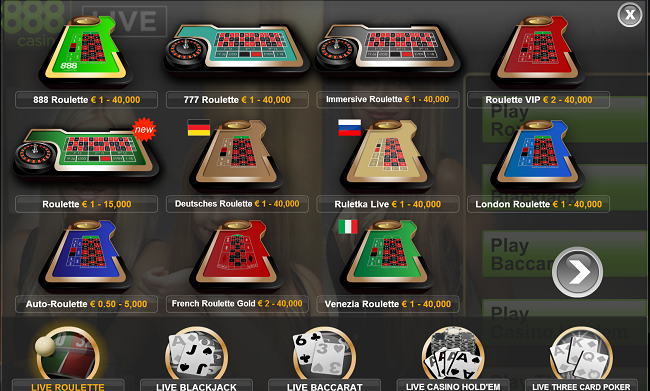 Online roulette provides a lot to the online roulette player. It is fast and people can play it anytime in the comfort of their own home. In some cases people, who live to fa from a real casino, want to experience a touch of a mortar casino for getting them excited. That is when Live Dealer Roulette comes in. Free playing is not possible at live casino playing. People can play the same games at the same online casinos as usual, but instead of a computer spinning the wheel, a real-life croupier spins a real wheel. Roulette.casino offers the best online roulette Live Dealer games. This website has plenty of games so the player is not waiting for a spot, the dealers are really friendly and professional in doing their job. The website offers the biggest sites with the best real money bonuses and gives customers a live casino feeling in the comfort of their own home. How does the online Live Dealer Roulette work? When a customer opens a Live Dealer roulette table online, he or she will be taken to a screen featuring a virtual roulette table layout. 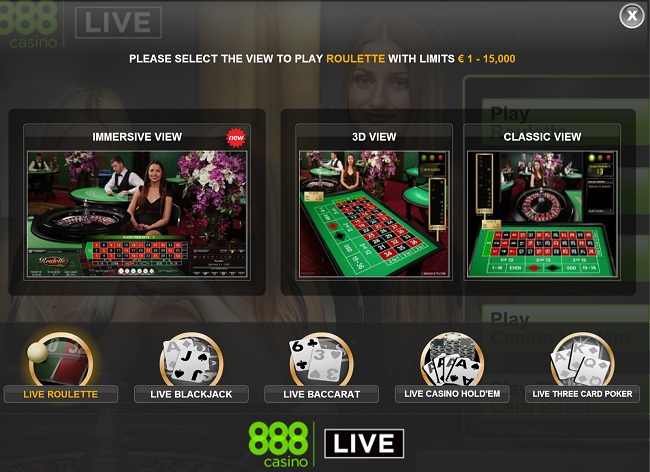 Above it all, customers can see a webcam stream featuring a human online roulette Live Dealer. Often, the dealer will be standing in a real brick ‘n mortar casino somewhere for added authenticity, with all the exciting sounds of the games behind. People can place their bets on the roulette table by clicking on the numbers they want to bet on in the usual way. After that the live dealer will say; ‘’no more bets’’ and spins the wheel. The cameras are trained on the wheel so players can watch their numbers come in real time. After the live dealer has marked the winning number, the computer will pay out the winnings. For a real casino feel Live Dealer Roulette is hard to beat. The croupiers are friendly, professional and quick and players can even chat to them via the chatbox on their screen. Players can thank the dealer, compliment them on their skills, even promise them a tip out of the winnings; dealers are able to chat with players and handle all the action with ease. Injecting a human element into an Internet roulette game is the next best thing to visiting a local casino. It’s worth pointing out, though, that the action is sent to the players via live stream on a webcam, so players have to make sure their PC or Mac can handle the software, and their Internet connection the stream. There’s nothing worse than the feed going down just as the lucky number 32 is about to come up. Is the online Live Dealer mode fair? Can players trust this type of games? With online roulette Live Dealer action, there are none of those concerns. Because the croupier is human, and the wheel and ball real, people know that their money isn’t at the mercy of a computer’s security. And if players love the agonizing randomness of a real ball falling into and out of, then into again, their winning slot, players will love online Live Dealer roulette. Playing a live casino game on computer is hot right now. There are more games than ever in 2015, with a bigger choice of games and dealers to choose from. The action may be a little slower than the usual roulette online games, but that’s a small price to pay for brick ‘n’ mortar authenticity. the experts of the online roulette website compare and review a heap of online roulette Live Dealer rooms regularly and we list only the very best ones right here. Finding a top gaming site offering roulette online Live Dealer action has never been easier. So pick one of the recommended sites today and earn a great welcome bonus when joining. Nowadays it’s really easy to find an online casino to take a gamble. However, not every casino offers the same quality. For excellent casino games, live dealers and great promotions you should definitely visit Unibet Live Casino. It also offers a great welcome bonus to make sure that you feel welcome as a new player. You can play in this online casino everywhere you want, whether you’re comfortably at home or somewhere outside with your smartphone. As the name might suggest, Unibet Live Casino is the place to be for live casino games. One of the most popular ones is Live Roulette. Almost no casino is as timeless and exciting as Roulette. Some things of Roulette are still the same after many years. The fact that you can play Roulette online is new though. The online Roulette table brings it the game to a new level. You should definitely experience it yourself! Roulette was invented hundreds of years ago in France and the rules barely haven’t changed since then. Players have to guess on which part of the Roulette wheel a small ball will land. You have multiple options for this, because there are several bets possible. A popular one is a ‘straight bet’ on one number, but ‘line bets’ and ‘1 to 1’ bets can be part of the game as well. It’s even possible to mix these bets together. This is all up to you. Just have fun, place a bet and maybe luck is at your side. One of the great things about Live Roulette is that a real dealer is involved. He or she interacts with players. You can have a nice chat and ask the dealer everything you want. The dealer also takes care of the technical part of Roulette. Normally these tasks are done by a machine. However, a real person gives a totally different atmosphere. Another difference in comparison to standard Roulette is that you don’t have to put on your best clothes. You’re playing online and could as well put on your pajamas! The live casino part still gives you the feeling of a land-based casino though. This makes Live Roulette an unforgettable game.